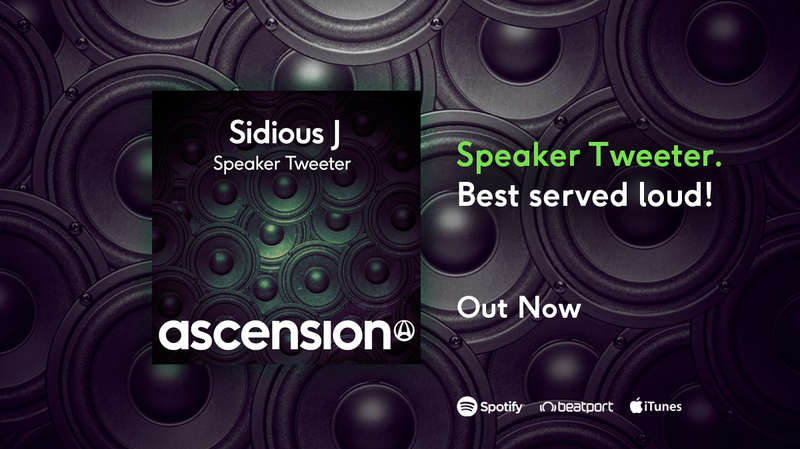 Ascension® welcomes back Ayrshire techno maestro Sidious J with his latest dose of audio anarchy, 'Speaker Tweeter'. Blending elements of tribal, funky, jackin' and tech house, Sidious J's latest offering packs a seriously hypnotic groove with his trademark twisted bass. The breakdown builds a huge atmosphere full of tension, before dropping into a full on club style four-to-the-floor. Watch out for those signature glitches and haunting atmospherics. This is what big club sound systems were made for.